How much ice is really out there this year? 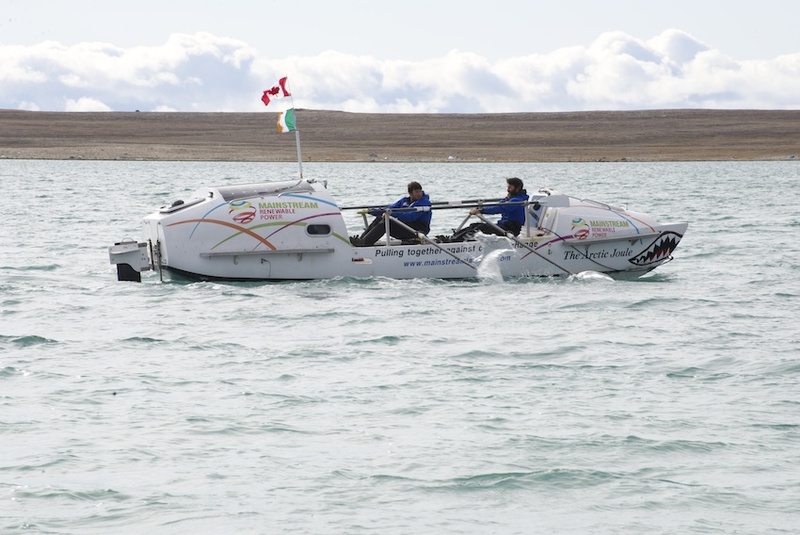 On Friday September 6th the Canadian Coast Guard rescued a group of American adventurers who were travelling the Northwest Passage on jet ski as part of the reality television show Dangerous Waters. We met these guys a number of weeks back as they blew past us on the Amundsen Gulf. We were fighting a strong southerly wind at the time that was intent on pushing us offshore when a number of small lights appeared on the horizon. It was in the early hours of the morning and only an arctic twilight illuminated our way. The lights bore down on us fast and before long we were surrounded by a pod of growling jet skis and their support boat. A cameraman was filming everything. We chatted with the group, wished them luck and watched them disappear into the night. Hearing about their rescue just north of King William Island reinforces the certainty that our decision to stop in Cambridge Bay was the correct one. If motorized craft needed rescue then a human powered craft had no chance at all. Mr. Solomon’s words echo what the elders told us and what we intuitively understood. The fact that this year’s summer ice will still be 1.41 million square kilometres less than the 1981-2010 average is sobering. To put in in perspective the area of British Columbia and Alberta combined is 1.6 million square kilometres. 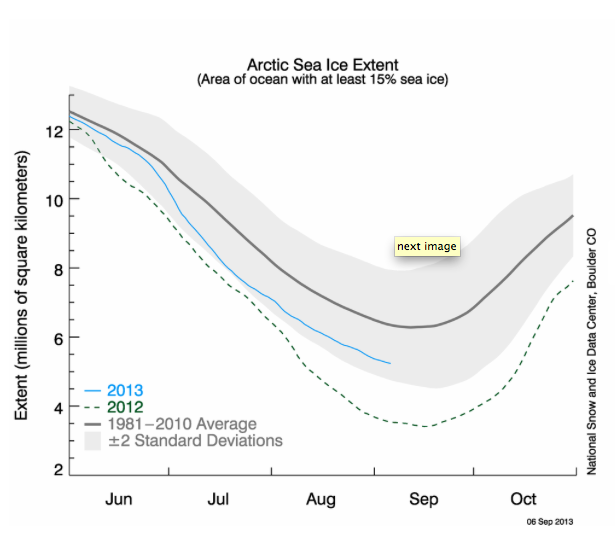 Climate change is happening and is being evidenced even during a cold year like we just experienced.